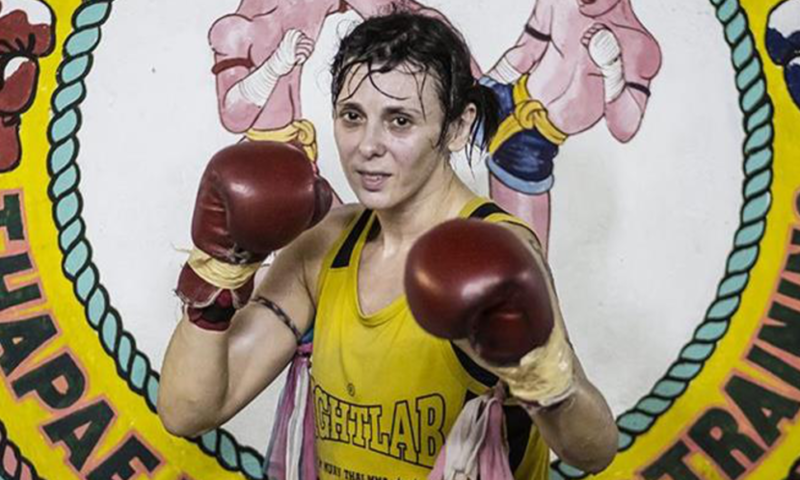 Ex-model, actress and singer, Chantal Ughi, is now a Muay Thai champion. Following abusive relationships with both lovers and her father, Chantal decided to transform her anger and energy into conquering martial arts. Fight Like a Girl flits between Ughi’s private life and the destructive relationships at the centre of it, to her unquestionable commitment to match preparation. The film shows the anger contained within Chantal but above all it shows the grit, method and determination which this extraordinary woman uses to overcome the challenges; using her energy to win both her personal and professional battles.